One thing leads to another. One experience prepares you for the next. For 5 years I have photographed weddings. I still do not feel like a wedding photographer. Very often I feel that everything I had ever done with and experienced through photography was all in preparation for this moment (at your wedding). I feel that a wedding day, a day where all the people you love in the world are around you, is the perfect day to take risks, and play with chance. Through a creative collaboration with your photographer, you can make a statement about who you are, and what is most important to you. In many ways wedding photography (for the most part) could be, and should be, much more interesting, intimate, and honest. When I am at your wedding, I keep my equipment small, light, and nearly silent. Every experience of love, fear, excitement, and wonder I have felt, frames my interpretation of you, your guests, your wedding dress, the way you move, the way you hold your new husband close to you. I follow my instincts to anticipate beautiful and poetic moments. On a wedding day, these encounters are everywhere. These are the images I will to present to you. 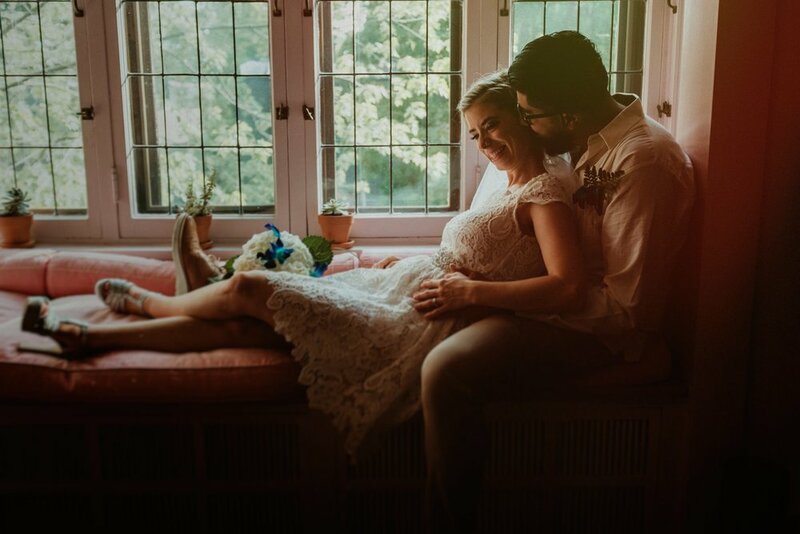 I want to help celebrate your joy, and new beginnings through photography. If you find that your mind keeps bringing you back to the images that you see within my work, then you found the right voice to document your celebration. This new website will be the place where my new work and direction within wedding photography will live. I have teamed up with an amazing design studio out of Portland called The Beauty Shop, which has very much helped me develop a new look and home for my work. The three icons below represent three continuing and strong themes throughout my work, and travels. I cannot thank my clients enough for putting their faith in me, and inviting me into their intimate celebrations. I am beyond excited to share more and more of my adventures with everyone here soon.